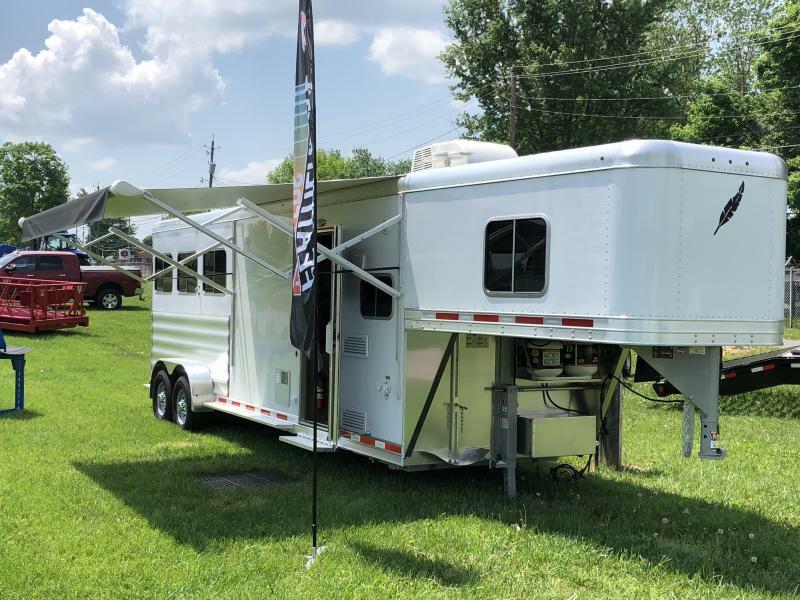 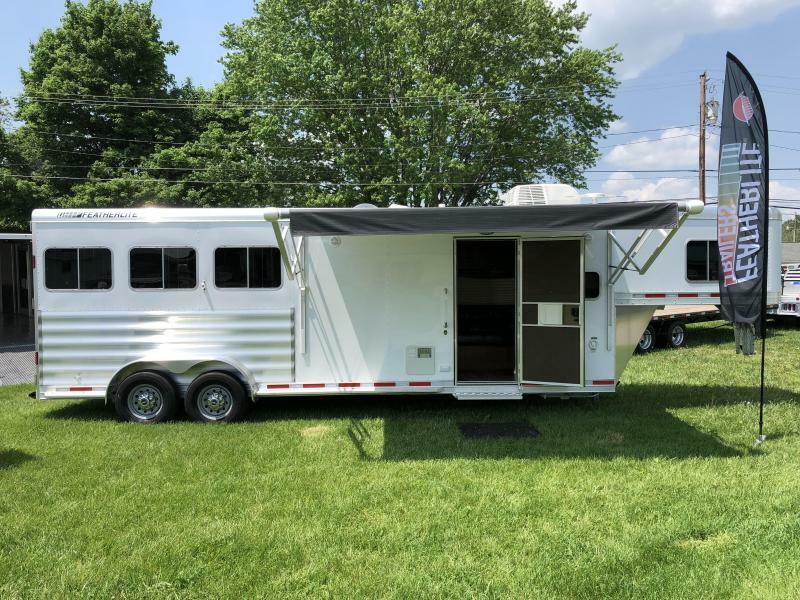 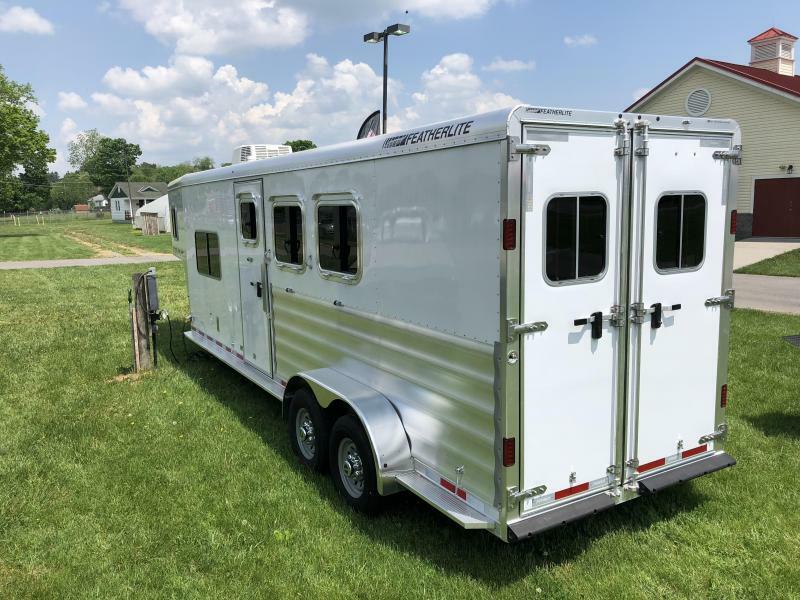 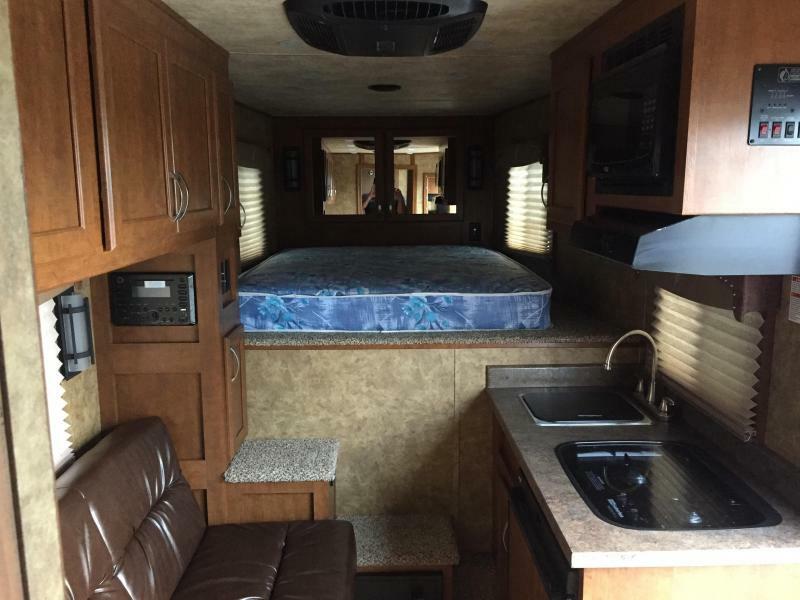 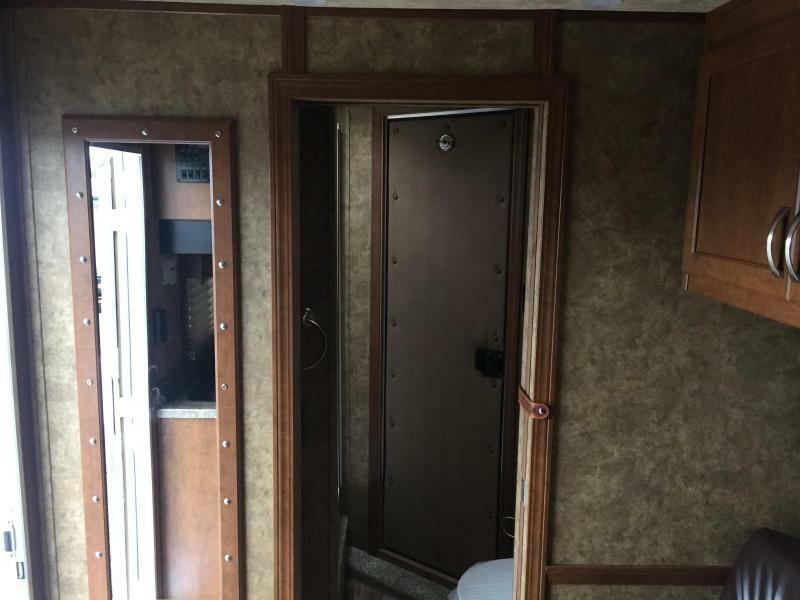 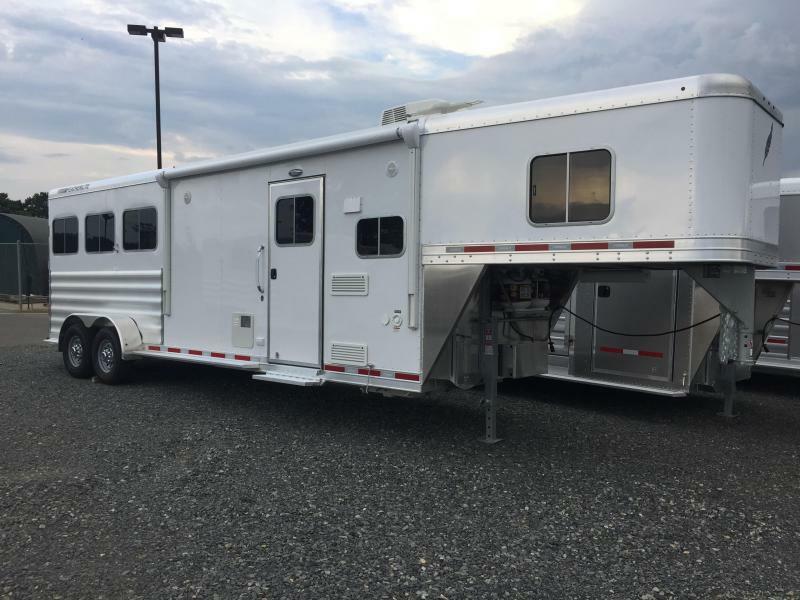 2018 Featherlite Trailers 3-Horse 8533 w/ 8ft Liberty SE Living Quarters. 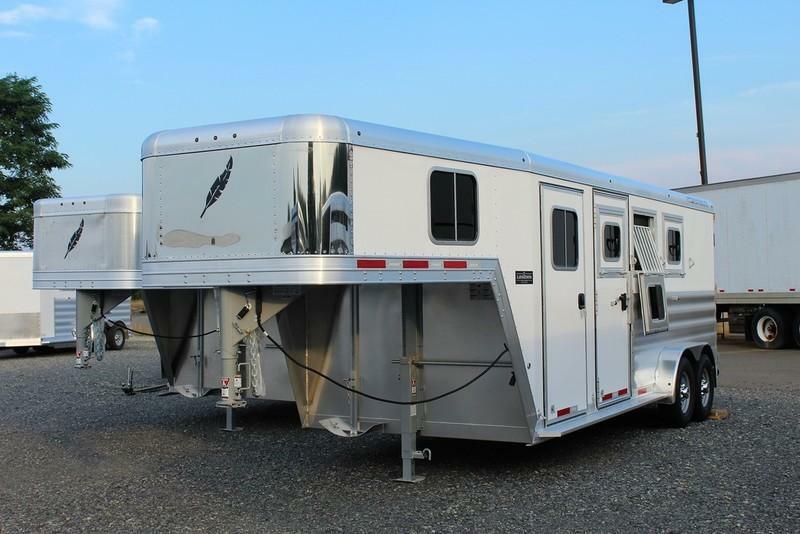 Value and durability unite in the gooseneck horse trailer Model 8533. 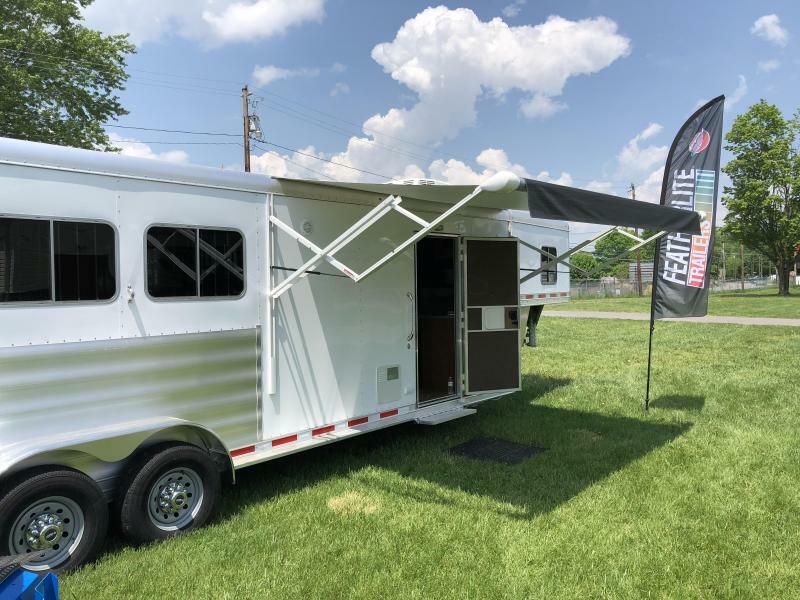 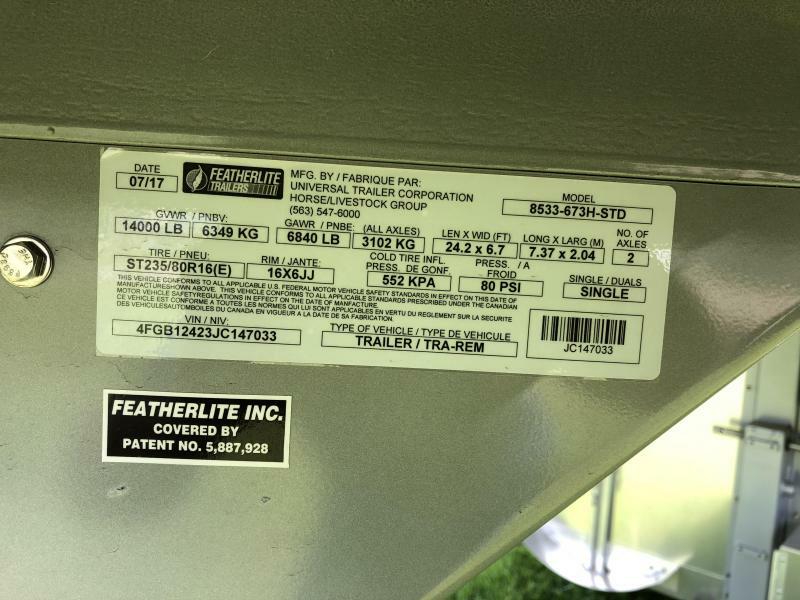 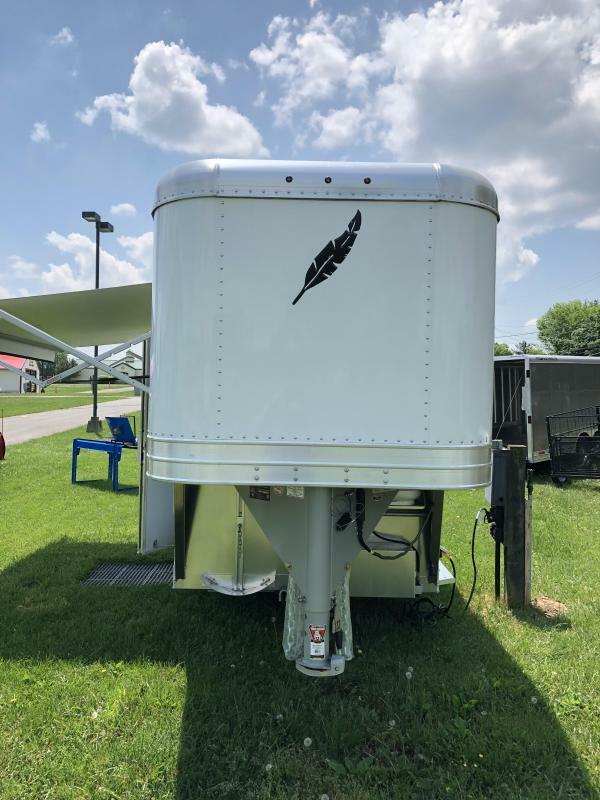 Price-conscious horse owners will enjoy the trailer's lower price point, all the while benefiting from Featherlite's quality all-aluminum construction, including 4" crossmembers on 12" centers. 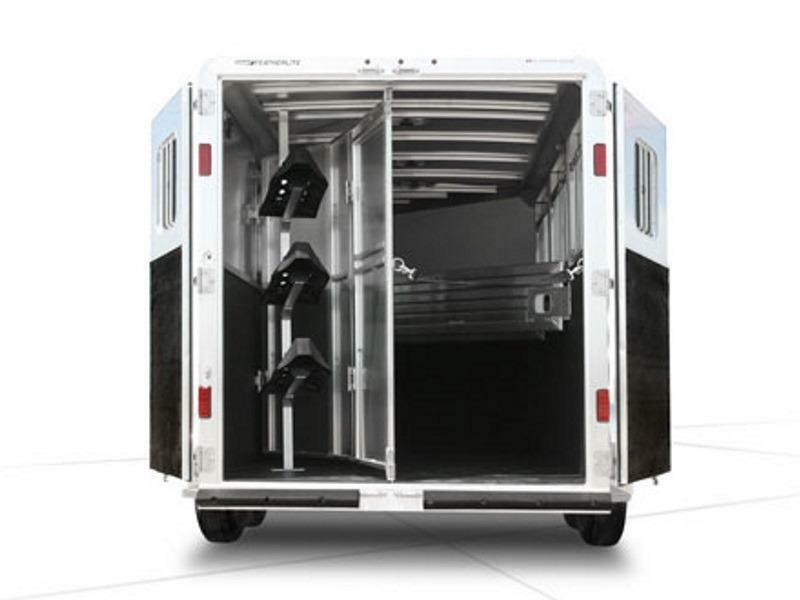 In 2015, the 8533's trailer length was extended to give you roomier stalls for your horses. 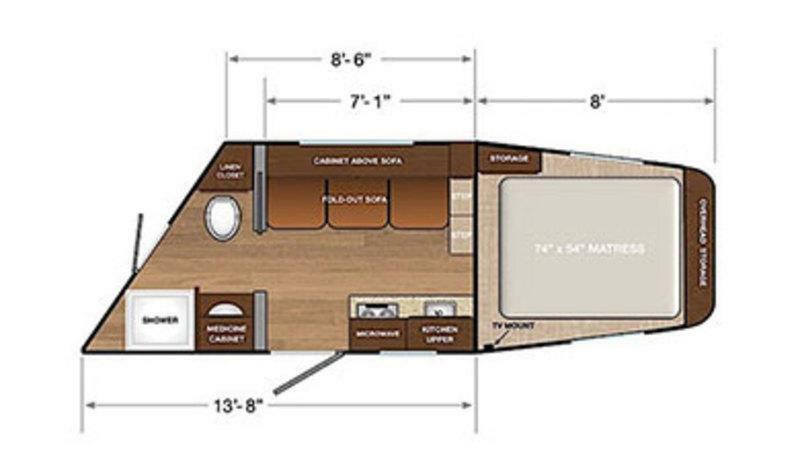 The Liberty SE Living Quarters offers all the amenities of home bundled into a budget friendly Trailer. 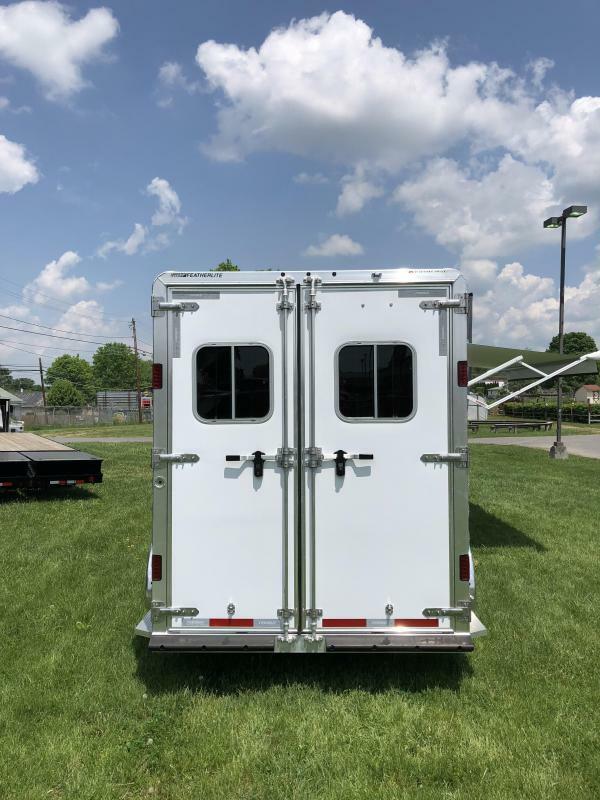 -Line wall rubber up 48"
-Line .090 aluminum up 48"